Titans running back Antonio Andrews leveled Browns safety Jordan Poyer on a punt return, lacerating his kidney, then posted video of the play on social media. 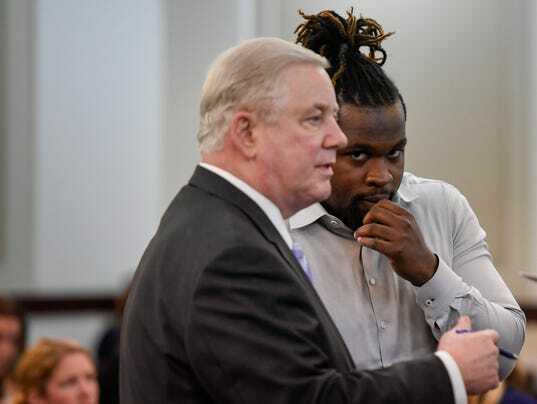 A former Titans running back police accused of punching a man in Nashville who used a racial slur pleaded guilty to an assault charge Thursday, quickly resolving the case against him without going to trial. Standing with his hands in his pockets at the center of a Nashville courtroom, 24-year-old Antonio T. Andrews on Thursday pleaded guilty to a charge of assault and was sentenced to six months on probation. If he completes the probation, he can have the charge expunged, or erased, from his record. If he violates the probation, he will have to serve jail time.